Brought to you on all Play’n GO supported online casinos as an attempt to bring forth all the best that 80’s had to offer, the Iron Girl video slot is a 5 reel and 20 payline game. It evokes a generic sci-fi action feel combined with a modern touch that might not be everyone’s cup of tea but sure comes with more than enough potential to stick around and become a player favourite. Iron Girl is a medium to high volatility slot playable on all available devices. It revolves around the vigilante space hero Iron Girl and her Iron Armour joining forces to tackle the galactic villains and claim the bounty. This is a game with an RTP of 96% and a couple of distinctive features which bring that extra kick to the reels through respins with sticky symbols, random feature that throws additional wilds to the reels and multipliers ranging up to 5x . HOW TO PLAY Iron Girl? Prepare for a journey deep into space on an 80’s lookalike game set which features the polishes graphics of those vintage arcade machines you loved playing so much. A retro feel is achieved through the galactic soundtrack, echoing through the space corridors superbly. 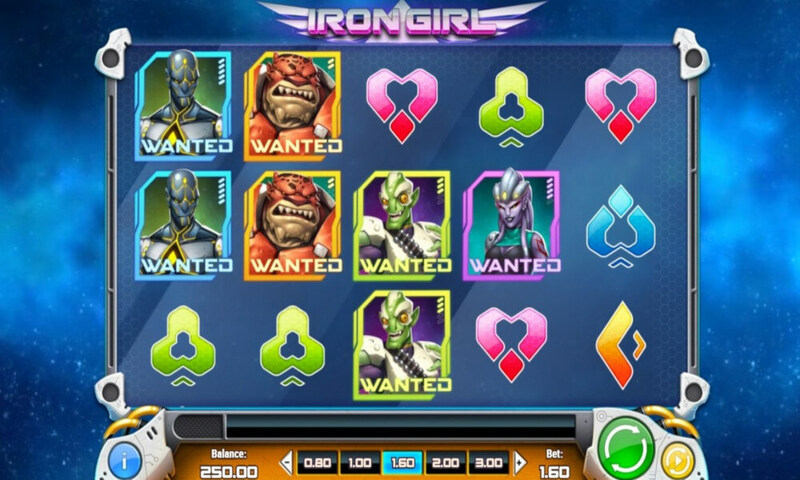 Four Wanted fugitives – all of which represent a different space creature – are the game’s top paying symbols our hero – Iron Girl – will be haunting across the reels. Futuristically designed classic playing cards complement the symbol offering as low denominations. The game pays from left to right for combinations of at least three matching symbols. It’s a classic game-playing scenario which, in all honesty, has a fine potential to turn this game into a classic despite the apparent gameplay depth. Tip of the hat for Play’n GO, though, for always making sure to present their games in the most straightforward manner. At least when it comes to wagering options and paytable values. A selection of different values, starting from €0.20 all the way up to €100 is at your disposal below the playing screen and a mere look into the symbol chart will clearly state that blue cyborg Quake is the most lucrative symbol, offering 1,000x line bet as the game’s maximum payout. Iron Girl plays a central role in this futuristic slot outlook. She is the game’s Wild and will have an important role to play in this game. Before you go asking yourselves about it, iron Girl does not come with a Scatter and subsequently will not grace you with a beloved Free Spins feature. There is a way, however, to get the reels spinning without an extra cost. Iron Armour Feature – is a randomly triggered base game feature which will throw plenty of memories and resemblances to the Hollywood blockbuster Iron Man. This feature is all about the Iron Armour flying on to the reels to add anything between 2 and 5 Wilds that will replace non-wild symbols on the reels and thus increase your winning potential significantly. Villain Re-Spin Feature – will occur every single time you get to land a high-paying villain – anyone of Quake, Shia, Slith and Thunder – even during the Iron Armour feature. 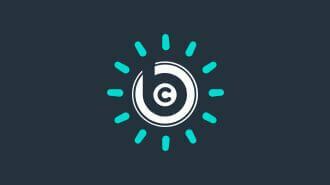 Once this happens, these symbols will be held in place and you will be granted a free re-spin. These complimentary spins go on as long as you get additional Wilds or corresponding Villains. Iron Girl is a futuristic slot game from Play’n GO which takes you on a galactic bounty hunt for 4 evil Villains. It is a relatively simple – yet quite effective – game which does not carry a great winning potential but can still be of a great entertainment factor. Played across 5 reels and 20 paylines, Iron Girl brings a 1,000x line bet jackpot, plenty of re-spins with sticky symbols and up to 5x worth multiplier during the Bounty Bonus. Iron Girl does not come with Free Spins, but boasts plenty of action to compensate for the absence. This is a highly affordable game that is supposed to be of great appeal to both slot beginners, enthusiasts and those who roll it high. It’s a medium to high variance game with an RTP worth 96%. Players, we need your help with how we should to rank and rate these reviewed casino games. You can help us by rating this game, and if you really enjoyed playing Iron Girl. You can also share it with your friends on Facebook, Twitter and via email. For all freeplay games, if your free credits run out, simply just refresh the page and your balance will be restored.